The University of the South Pacific has grown tremendously since 2008. USP President and Vice Chancellor Professor Rajesh Chandra says this year there are more than 30,000 students enrolled at USP. This is almost double the number of students who were enrolled at the institute eight years ago. "We (USP) are doing really well. We’ve grown so much over the years and the numbers are at its highest ever since 2008. I would say that USP today is steadily moving along the journey of transforming itself from a good university that people accept it to be, to being an excellent university," he said. 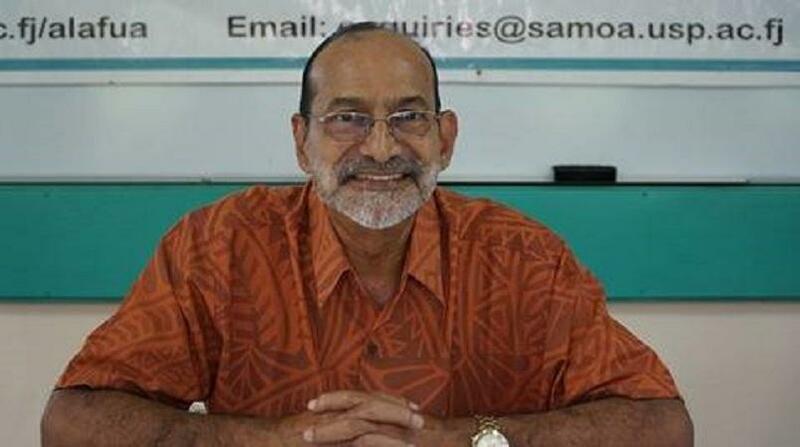 Professor Chandra, who is currently in Samoa said the Alafua Campus has had some improvements worth noting. "The best thing about Alafua Campus is its improvement in enrollment from students. What is it about having a big campus, but not have enough students? So it’s thanks to the Government of Samoa, for the push for students to study agriculture," he added. Professor Chandra said the latest reports of the number of students not being able to sit examinations due to financial issues is a sign of something new that the university must take on. "On the positive side, the university has recognised that although we have a problem with the viability, we must invest new money and we’ve provided significant investment in research equipment and improving facilities," he said. "And its financial stability is in good order," he added. Tomorrow (Friday) is the graduation ceremony for graduating students of Alafua Campus and Professor Chandra says the university as a whole is moving up to speed with the many new changes in the region. He says his hope is that every graduate who leaves USP would become a pillar for the next generation of scholars and pioneers.